This Claddagh door knocker includes all hardware. 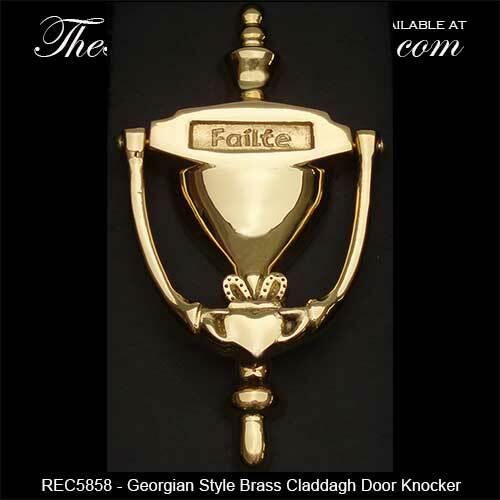 This solid brass Claddagh door knocker features an engraved fáilte greeting; fáilte is welcome in the Irish language. 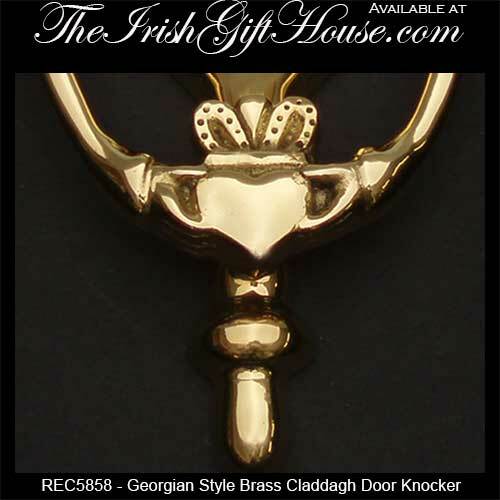 The large Georgian style Claddagh door knocker measures 4 1/2" wide x 8 1/2" tall and it is gift boxed with the Claddagh legend card, complements of The Irish Gift House. This Irish door knocker is made in the USA.